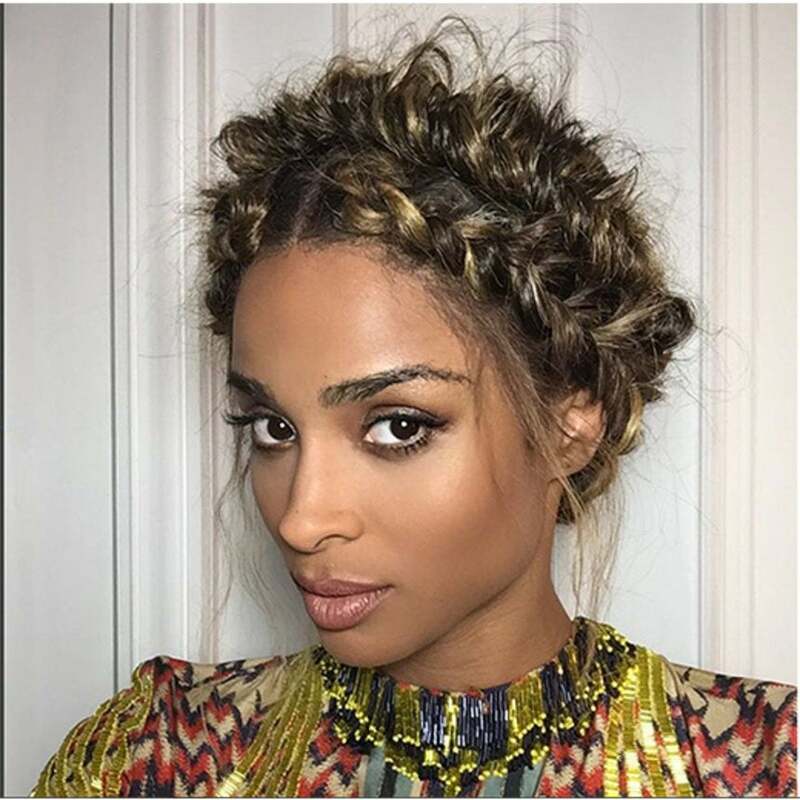 Ciara's Paris Fashion Week Braided Crown Is Everything! Hair goals! Ciara lit up Paris fashion week with a stunning crowned braid. To start, Ramirez parted the hair down the center from front hairline to the crown. Then from the crown down to the neck, he zigzag parted to create an invisible part in the back. Next, Ramirez started braiding down each side off the part using MIZANI Defyne Wax to really detail the braids. Once he started braiding off the head, he switched to a fishtail braid. Next, Ramirez then took a separate bundle of loose hair (custom blended) to match her color and made a long separate fishtail braid. Next, he crossed and hair pinned the two loose ends in the back to sit right above the neck, then pinned in the separate fishtail like a headband behind the previous braid. Next, Ramirez then pulled on each strand of each braid and lightly sprayed MIZANI SHYNE Bodifying Sheen Spray for slip—this created all the loose frizzy texture. Finally, Ramirez finished the look with MIZANI HRM Humidity Resistant Mist for hold. What do you think of Ciara’s braid? Would you try it?